Gin is the perfect tipple for Summer (and all year round really! 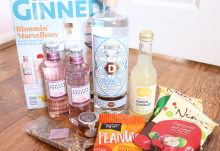 ), so if you’re curious to explore the vast world of artisan gins, why not try a subscription to Craft Gin Club? 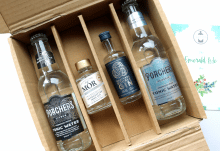 It really has everything all together in one box and is such a treat to receive each month – the full-size bottle of gin alone is reason enough to try it! I also love the Ginned! 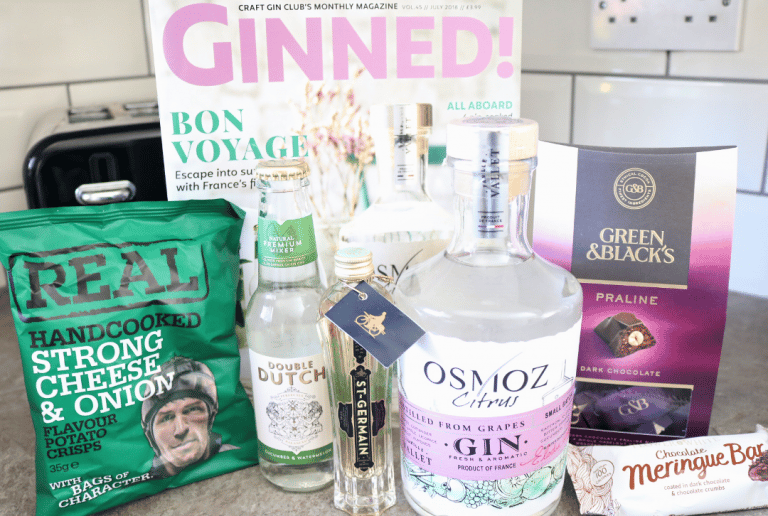 magazine which is packed full of interesting features, including a main spread on the ‘Gin of the Month’. 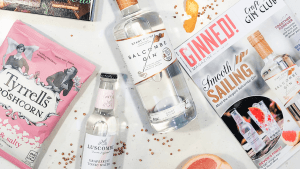 This month’s featured gin comes from just across the pond, and is the first French gin that I’ve had the pleasure of tasting. Distilled in small batches at Château Montifaud in Cognac, France, this gin is the first in six generations of distilling to dabble in the specialised spirit and with the family’s experience in award-winning Cognac, it’s no surprise that this gin has been getting a lot of attention. Made from a lively blend of botanicals which includes Juniper, Coriander, Linden, Apple, Liquorice, Apricot, Almonds, Saffron, Clove, Bitter Orange, Cucumber and Lime, this gin is in fact distilled from grapes and has a wonderfully fresh and aromatic taste and aroma to it. The freshness of the Juniper notes are livened up further with zesty Citrusy hints that resonate throughout, with even fresher, herbal flavours coming through. It has a slightly spicy finish with Clove and Saffron and makes a gorgeous Summery G&T! 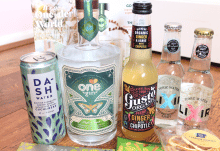 This month’s mixers are really something special with a refreshing Cucumber & Watermelon Tonic Water from one of my favourite tonic brands, Double Dutch. 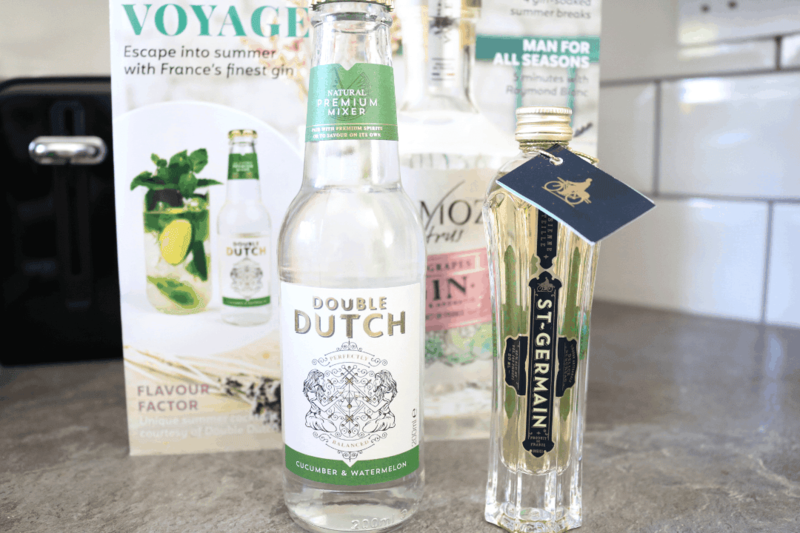 On the right though is a delectable bottle of one of France’s prize exports; their St. Germain Elderflower Liqueur is a wonderful accompaniment to the Osmoz Citrus Gin and brings out many of its more floral notes. You can also use it with dry sparkling wines for a real taste of Summer. 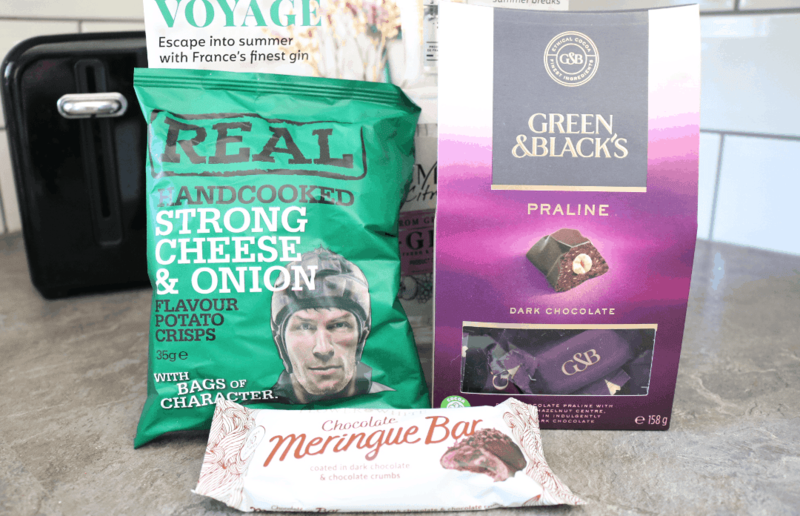 The added snacks are also on-point with a crunchy bag of British Real Crisps in Cheese & Onion flavour, a generous sized sharing box of Green & Black’s Dark Chocolate Pralines (these are so moreish! ), and an interesting Chocolate Meringue bar which ties in nicely with the overall French theme of the box (and it’s under 100 calories too!). I’m once again impressed with this month’s Craft Gin Club who never fail to surprise and delight with their fine selection of featured gins. 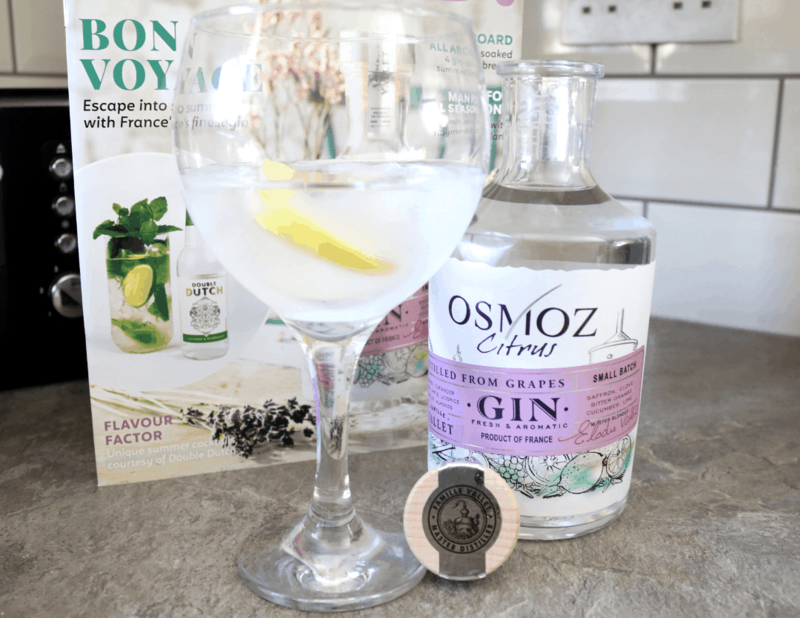 I’ll certainly be keeping my eye out for more French gins in the future! 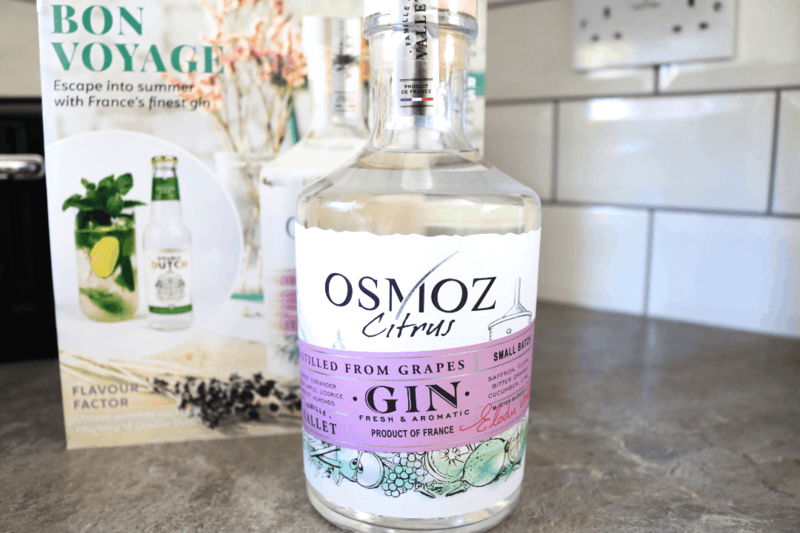 The Osmoz Citrus Gin is a beautiful gin for the Summer and I loved all of the extras in the box too - top marks all round!